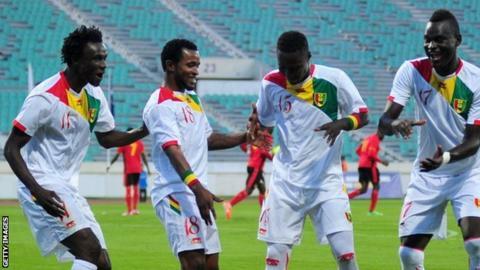 Guinea are Africa's highest risers in Fifa's world rankings for November. The west Africans climbed 17 places on the global list to move to 38th position, while they moved from 11th to sixth on the continent. Guinea's improved placing is a result of the victories over Togo and Uganda that earned them qualification to the 2015 Africa Cup of Nations. Mali, who also won a spot at next year's finals, rose nine places to sit 49th in the world and 10th in Africa. But there was a huge fall of 22 places for Egypt, who are now 60th in the world and 14th on the continent. Overall, the results were good for African football, with 10 countries from the continent now ranked in the top 50 in the world.